NEW YORK — There are popular video games, those unique classics that comedians and pop culture icons alike seem to draw comedy from like a never-ending well, and then there is pinball. When a patron enters a bar with a pinball machine, they rarely appreciate it's significance. They turn their faces towards the bar, and if they have interest in any amusement at the bar other than the beverages and the patrons, they look to games like Big Buck Hunter, or that one where you play golf. Pinball, it turns out, is a pretty niche game. Yet despite this, Mark Vigeant, Famous Comedian from New York, is turning out pinball-based comedy in droves. A year ago, Mr. Vigeant became the first comedy wrestler in the UCBW (a comedy wrestling league at the Upright Citizen's Brigade Theatre) whose persona was entirely derived from the game of pinball. "He's called the Pinball Warlock and he's totally evil," Mr. Vigeant said in an interview at a bar in Greenpoint. "He plays an invisible pinball machine that controls his pinball minions — actors dressed in silver morph suits — who dance randomly about the stage as though they are balls in a pinball machine. It's disorienting and fun and the best part is I don't have to fight. I'm terrified of physical harm." Wrestling is not the only venue for pinball-inspired comedy however. 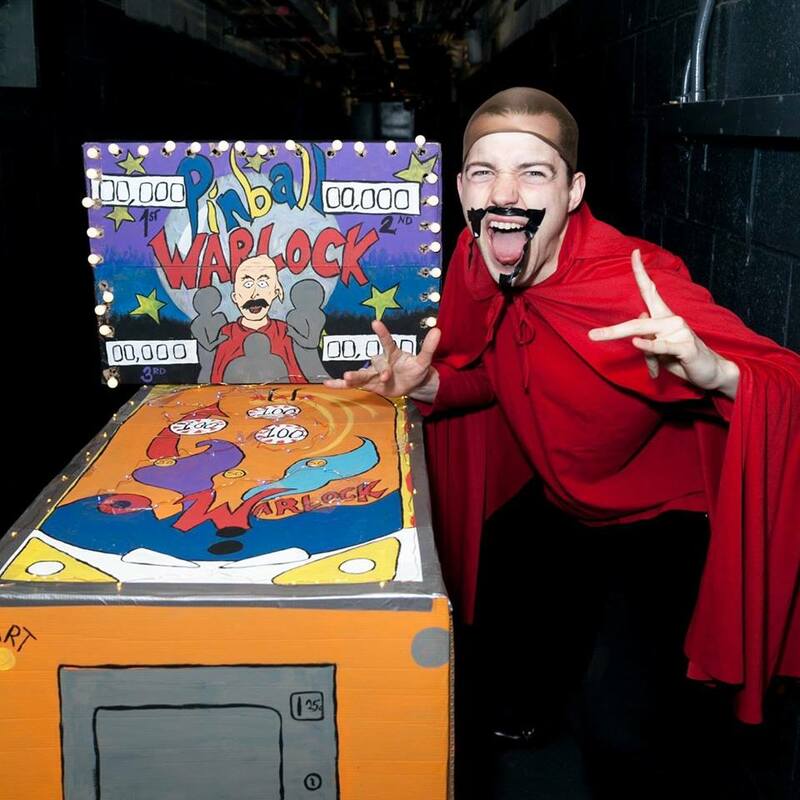 Mr. Vigeant has been able to incorporate pinball references into sketches he's written for other shows, including the popular OSFUG at the Upright Citizen's Brigade Theatre. "I wrote a monologue from the perspective of a grizzled old man describing his experience with a pinball machine as though it was war. It was in pretty poor taste, and the audience didn't really like it," said Mr. Vigeant. "But I'm getting it in there. There's definitely an audience for pinball humor."